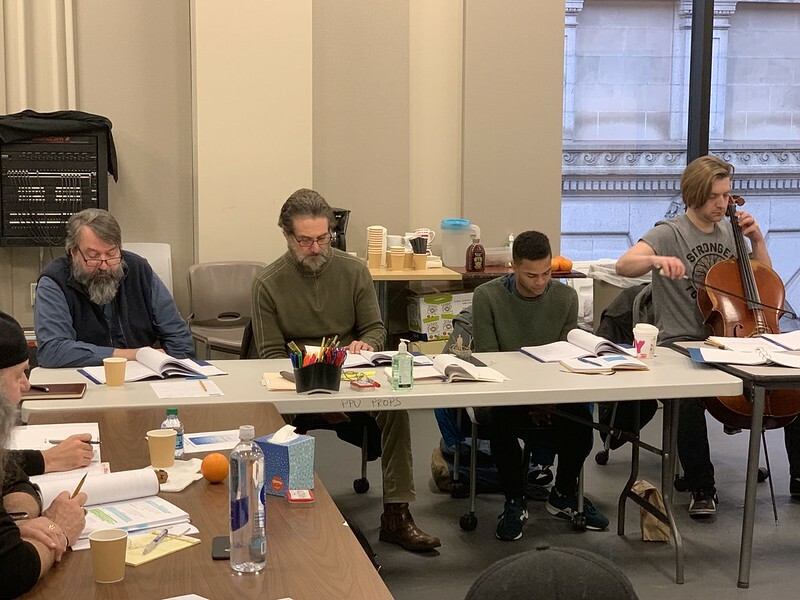 Point Park University’s Pittsburgh Playhouse presents the world premiere stage adaptation of The Old Man and the Sea, based on the novel by Ernest Hemingway, adapted for the stage by centenarian playwright A.E. Hotchner and Tim Hotchner, and directed by Pittsburgh Playhouse Artistic Director Ronald Allan-Lindblom. The Old Man and the Sea is the first production produced by Point Park University in collaboration with RWS Entertainment Group. The cast features Tony Award-winning actor and Broadway veteran Anthony Crivello as Santiago, David Cabot as Hemingway and 2018 B.F.A. in theatre alumnus Gabriel Florentino as Manolin. Simon Cummings, from Cello Fury, is creating and performing original music for the show. The project includes several interesting collaborations. Hotchner, who is creating the stage adaptation with his son, was Hemingway’s official biographer and Hemingway’s good friend until his death in 1961. The Hotchners have been working closely with Lindblom and the University to refine the script for its stage debut. Additionally, RWS has had a longstanding relationship with Point Park. RWS CEO and founder Ryan Stana received a B.F.A. in theatre arts from Point Park and serves as a current University Trustee. Stana has long been committed to fostering Point Park talent in the entertainment industry as well as within his own company that includes several Point Park graduates, some of whom hold executive positions. The Old Man and the Sea runs Feb. 1-17 in the Highmark Theatre. Visit www.pittsburghplayhouse.com or call 412-392-8000 to purchase tickets.